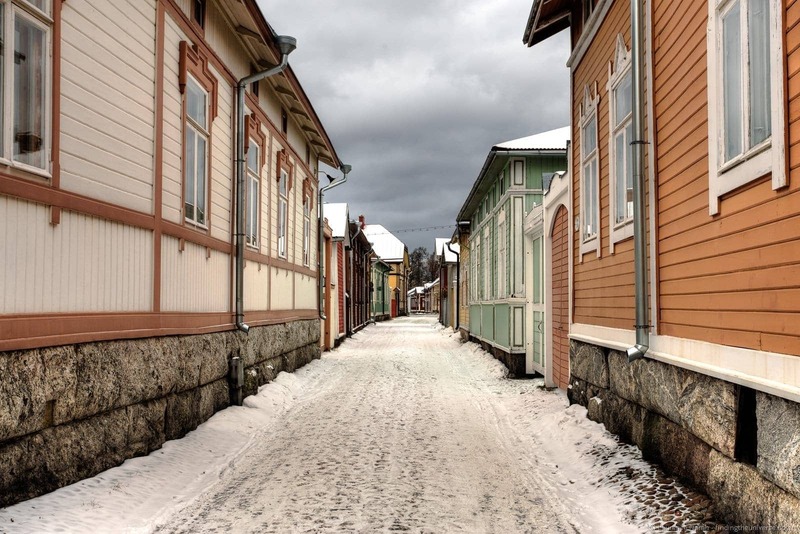 Visiting a summer town in the dead of winter is a weird experience, and something we experiened when we visited Rauma in winter. To start with, I’m fairly sure we were the only people staying in the hotel. The town’s streets were oddly, almost eerily quiet, at any time of the day or night. The exception was after the local team played ice hockey, at which point it appeared to flame into life. 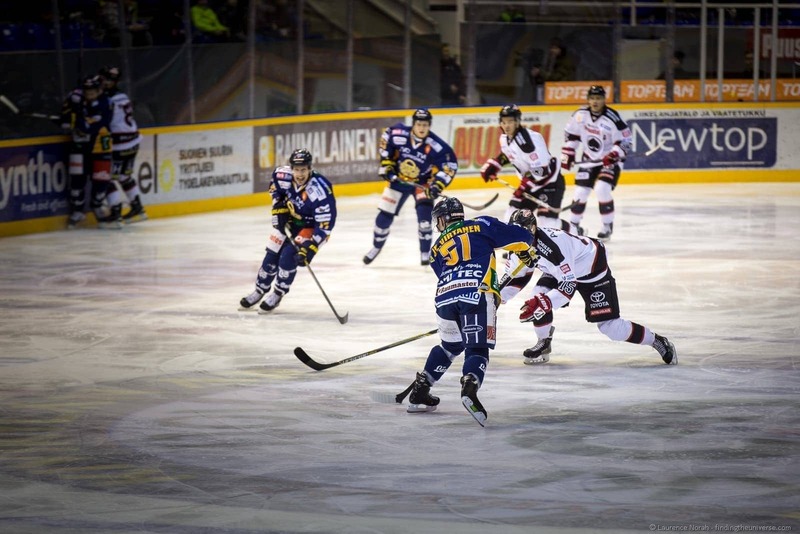 I managed to catch that game – my first ever ice hockey game – which was quite the experience. More on that below. Not that I am complaining about the quiet. Having one of Finland’s world heritage listed sites to ourselves to wander and photograph at leisure, whilst sampling all that it had to offer the Winter visitor, was quite the experience. Rauma is way over on the west coast of Finland, around a four hour bus ride from Helsinki. It’s notable for it’s town centre, the entirety of which is the aforementioned UNESCO world heritage site. 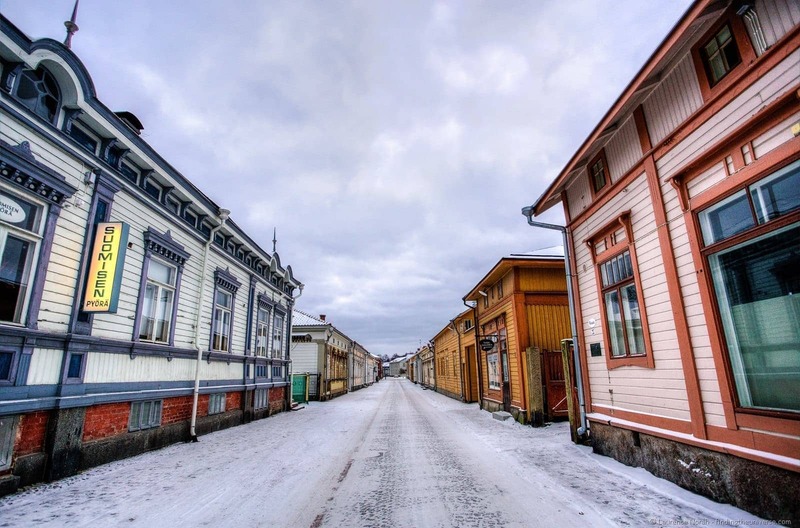 It’s a beautiful old wooden town, and is the main reason why Rauma is such a popular place to visit. But there’s more to Rauma than the pretty wooden centre, as we learnt. 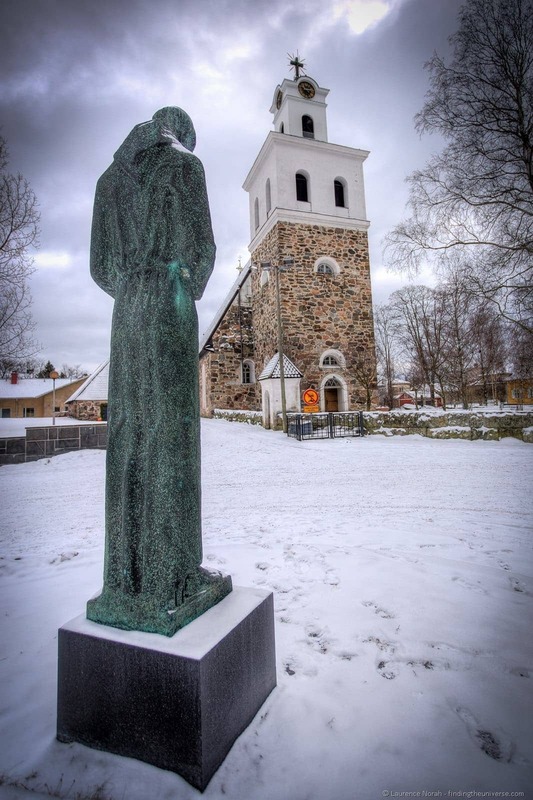 Here were some of the things we got up to during our three day stay to give you some ideas for visiting Rauma in winter. Rauma is famed throughout Finland for lace making, of the bobbin style. I had no idea what bobbin style lace making was before I visited, but luckily some wise lace-making ladies were on hand to help me learn the skills that have been popular in this town since the 16th century. It turns out bobbin lace making is a time consuming and complicated endeavour, involving many threads, pins and bobbins, that have to be moved around and crossed over each other in just the right way. I’d like to say I created something wonderful, but the reality is that I moved some bobbins over some other bobbins, whilst a wonderfully talented lace making lady peered over my shoulder, tutted in Finnish and corrected the general tangled mess I created. Still, we bought Jess some lovely earrings made out of lace, which is the main thing. 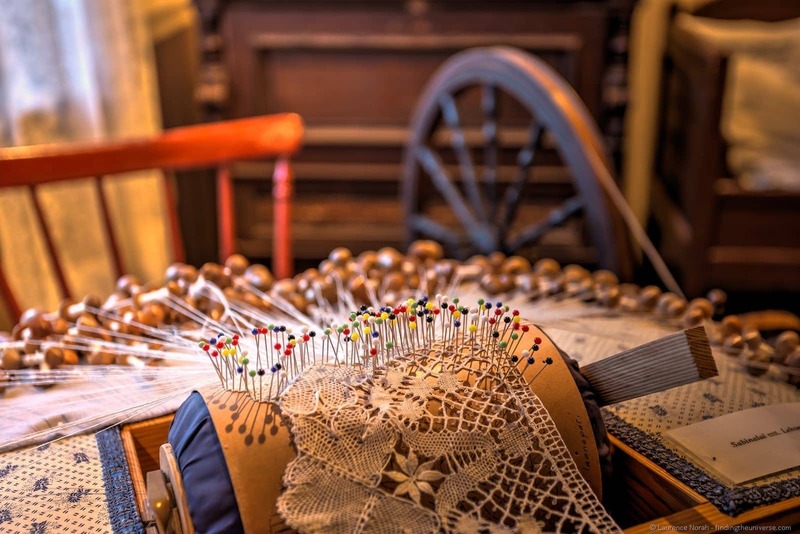 If you are interested in lace making, you can drop in and learn to make your own lace, or for true lace aficionado’s, come here in summer for the week long lace festival! Rauma has a long history with the sea, being both an important port and ship-building location. The town’s relationship with the sea was explained to us in the Rauma Maritime Museum, which is full of sea faring artefacts and interesting exhibits that cover all aspects of this history, from the people who live their lives on the sea to the ships and companies that made the journeys possible. You’d think that it being the middle of Winter and temperatures being well below freezing (not just a tiny bit below!) would preclude us from taking part in outdoor activities. Well, if you’ve read our previous posts from our adventures in Finland, you’ll know that the Finnish people both love the outdoors and aren’t exactly afraid of the cold when it comes to activities. So it shouldn’t really have come as a surprise when our list of activities included kick-sledding across a frozen sea. Kick-sledding, for those of you not in the know, is pretty much what it sounds like. You have a sled, which has long runners behind it, and you sort of kick yourself along and glide wonderfully across the ice. That’s the theory anyway. In our case it had recently snowed, so there was less wonderful gliding and more sticky pushing. 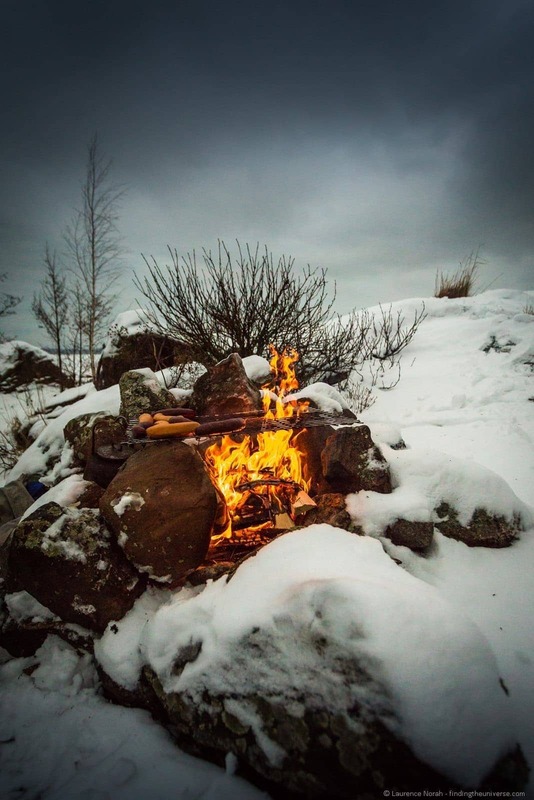 Still, we found a wonderful island in the midst of the frozen sea where we had a campfire and sausages. Fact: you’ve not experienced Finland until you’ve had a campfire with accompanying sausages. And beer. You can’t visit Finland without having a sauna. Recent research suggests that saunas contribute to the Finns leading longer lives, and it is an integral part of Finnish life. When I was in Finland over the summer of 2014 I had a sauna experience as well, but I think sauna is best experienced when it is really cold outside so you can really appreciate the warmth. I would also advise, if you get the opportunity, to try a wood fired sauna rather than the electric version – the feeling is quite different, and in my opinion, better. 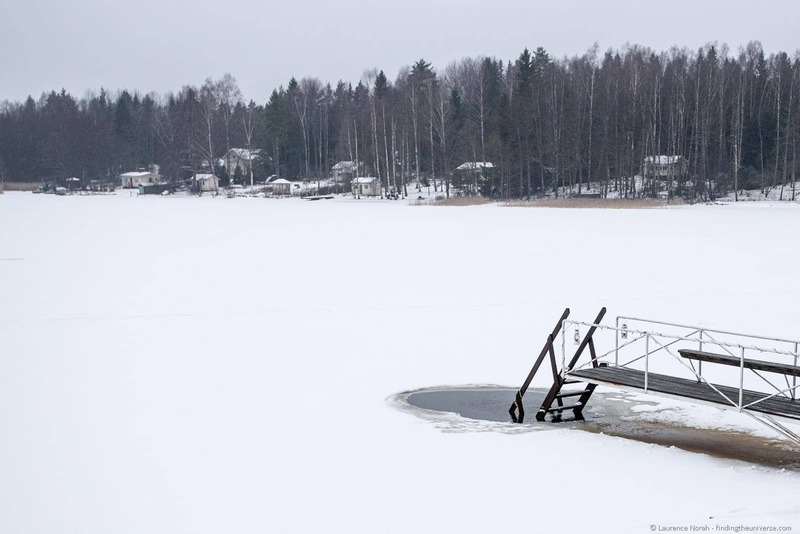 Of course, the other advantage (if you could call it that), of taking a sauna in winter is that you can jump into a frozen sea. Ok, so this might not necessarily appeal. But it seemed to be the thing to do, so after sweating away for a while, I plucked up the courage and ventured out along the slippery pier and into the sea, through the hole that had been cut into the ice. It was, as you might expect, somewhat cold. Invigorating, yes. Although, having done that, I was fairly happy not to do it again! Rauma sure was a place of firsts for me. Kick-sledding, ice-swimming (ok, maybe describing my activity as swimming is a stretch), tug boat driving, lace-making – lots of new experiences! So, it made sense, since we were in town, to take in a local hockey game. Ice hockey, for those of you from a country where this is not the primary form of the game. We were given the full experience of a home game, standing with the most ardent fans, in a game against the local rivals. The atmosphere was tense and exciting, and I have to admit to really having no idea at all what was going on. People got on and off the rink, it seemed perfectly reasonable to skate behind the goal with the ball (I’m told it’s a puck), and every now and again a fight broke out. It was thrilling to watch, especially once I gave up trying to understand the nuance and just got on with cheering whenever the home team got the puck close to the goal. Even more thrilling was the fact that the home team came from behind to win with just two seconds left on the clock when the winning shot was fired. As you can imagine, the home crowd were fairly thrilled about this development, and it sure capped off a fun evening of sausage eating and sports watching. Rauma has some lovely restaurants, but the most unusual that we visited was in the old water tower on the edge of the town. After a ride up in a creaky elevator, we were rewarded by fabulous views of the city, accompanied by a lovely buffet lunch. You can go up and view without lunch for a small fee, or if you have lunch the view is included. 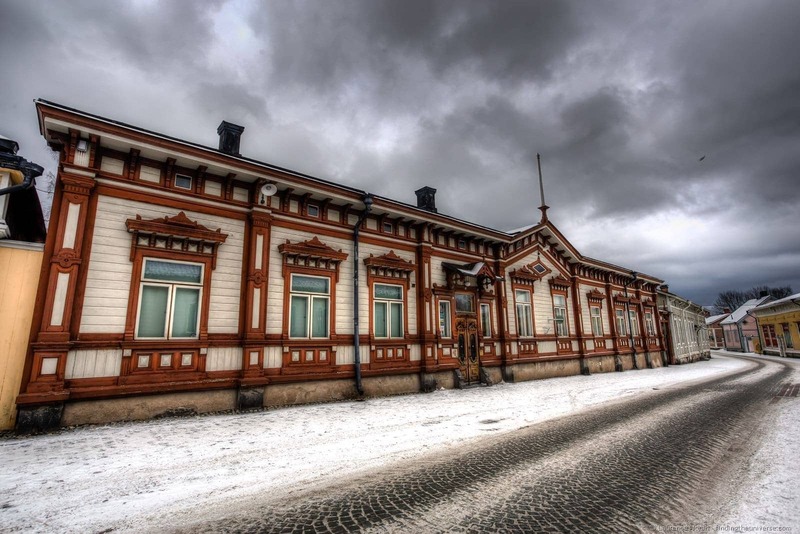 Rauma has some nice museums if the weather is inclement or you would like to learn more about the history of the town. 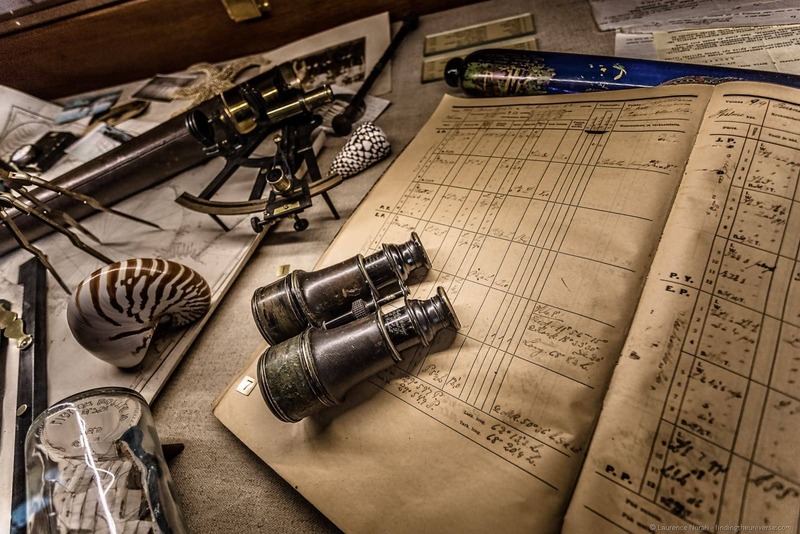 The aforementioned maritime museum is very much worth visiting, but we also took in the museum in the old town hall, and the Marela Museum House. 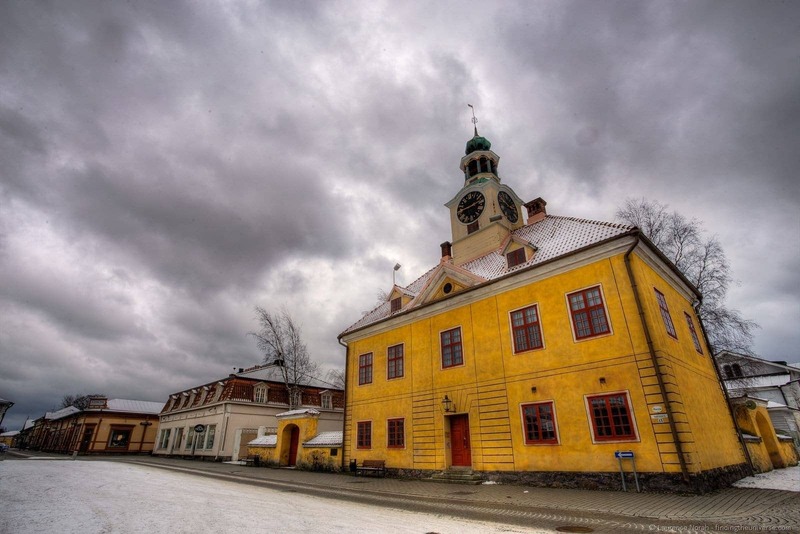 The latter is situated in the home of a Rauma shipping company owner, and is a wonderful way to see how a well-off family would have lived when in town. The museum in the old town hall focuses more generally on the history of the town, which also includes the lace making and shipping. 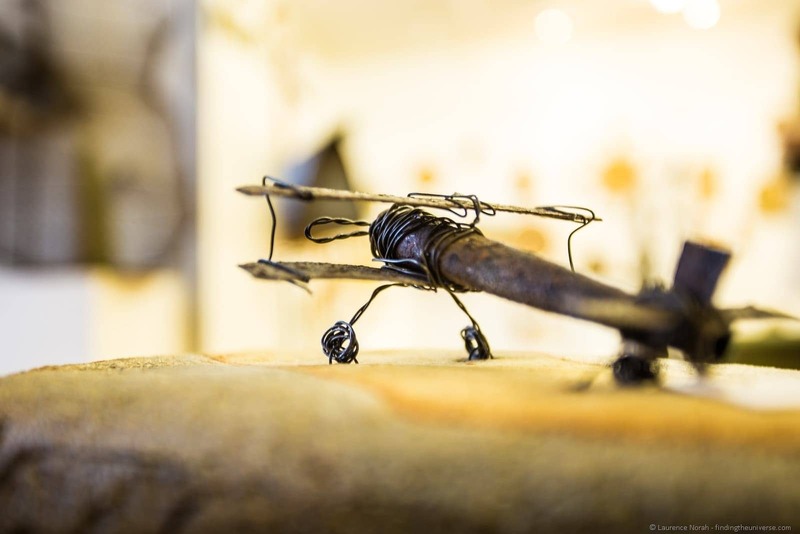 The old town centre of Rauma is home to a series of wonderful arts and crafts shops. We stopped in at the gallery of local artist Kirsi Backmann, who creates ceramic art around reclaimed materials. Her art was really fantastic stuff, and I particularly loved the little plane that she said symbolised the freedom of travel. 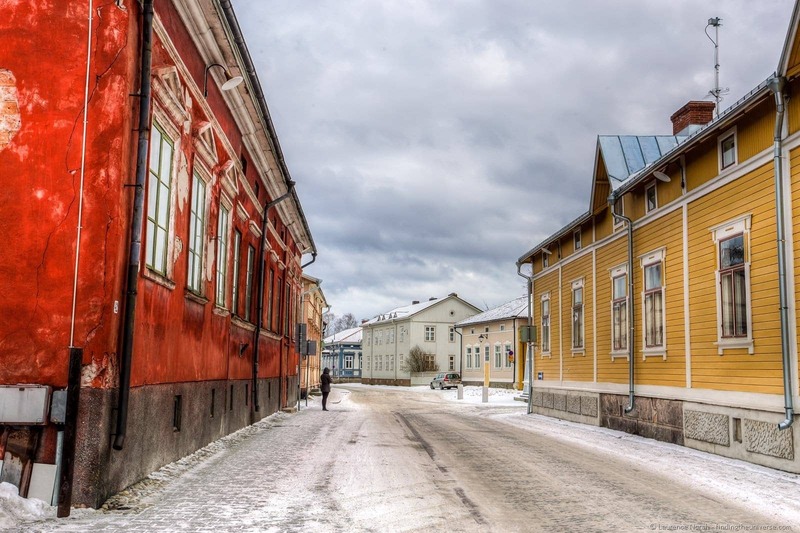 Of course, one of the highlights of visiting Rauma was getting to wander around the old town centre, which occupies a 28 hectare site and consists of over 600 buildings. Certainly more than enough to keep a photographer like me happy for a while! We stayed at the Hotelli Vanha Rauma which was a two minute walk from the town centre and was comfortable and quiet with a nice breakfast. We arrived late in the evening and they kindly left us some sandwiches in the room, which was a wonderful way to start our stay! You can see more hotel listings for Rauma at booking.com, which we find has the best prices on a wide range of accommodation options, from hotels to apartments. Alternatively, if you prefer an apartment or more of a hosted stay, then I recommend AirBnB. I’ve tried all the others, and AirBnB consistently has the most options for locations around the world. Plus, if you’ve never used them before, you’ll get a $25 discount on your first booking with this link! Getting to Rauma is relatively easy. You can grab an express bus from Helsinki which will take you just over four hours. Buses in Finland were a pleasure to ride, with free wi-fi and usually at seat power as well. 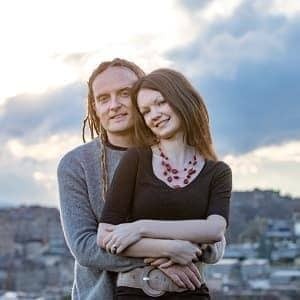 Take a look at journey.fi to help plan your trip. We’ve visited Finland a number of times in both summer and winter, and have written a number of posts to help you plan your trip. To start with check out this post Jess wrote, that details the top 15 Winter Activities in Finland you have to try! Next, you’ll probably be wondering what to bring with you. 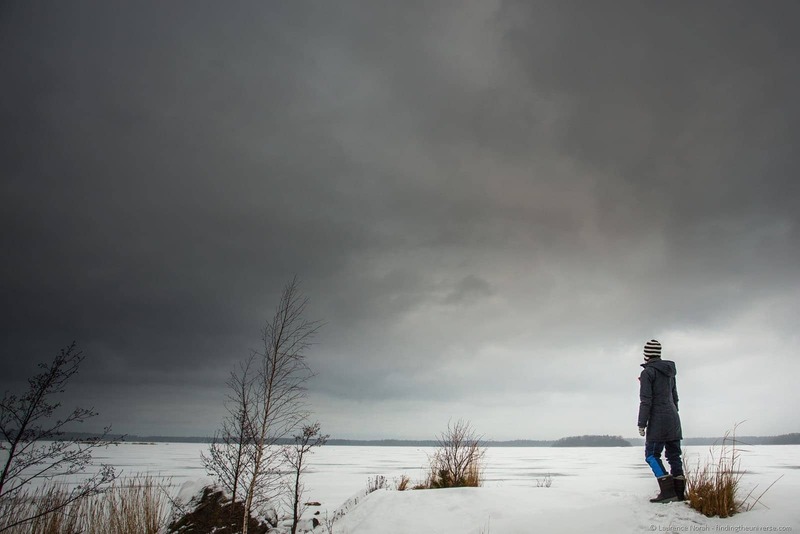 We have a guide to what to pack for winter in Finland to help you out. Want to visit more towns in winter? 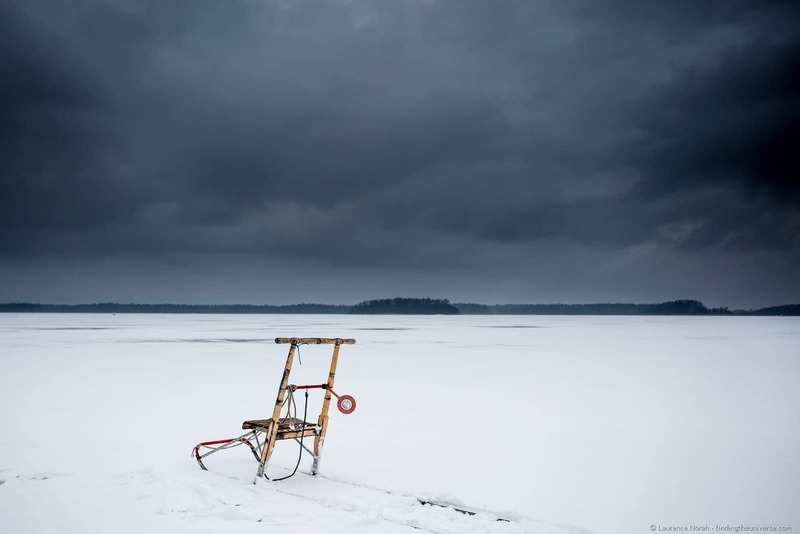 Check out our guide to visiting Oulu in winter in winter for more inspiration! And that’s it for my experience visiting Rauma in winter! As always, we’re open to your comments and feedback, just use the comments box below to share your thoughts. Our thanks to Visit Finland and the Rauma tourism board for hosting us during our stay and providing meals, accommodation and activities! Want to know more about visiting Rauma in summer? Read this post by Adventurous Kate! 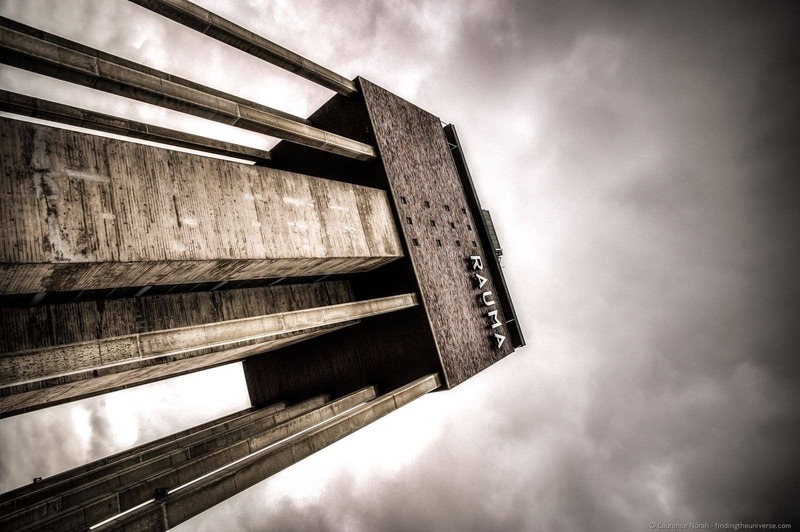 I’ve never visited Rauma, even though I’m from Finland. I should really get out more from the capital area! I would love to see the lace making and the Maritime Museum. And of course, the old town centre would be a must-see. Thank you for the guide, I will keep these tips in mind when I finally make it over to the west coast!